Home > Special Offers > Sales > The Spring into Audi Sales Event. 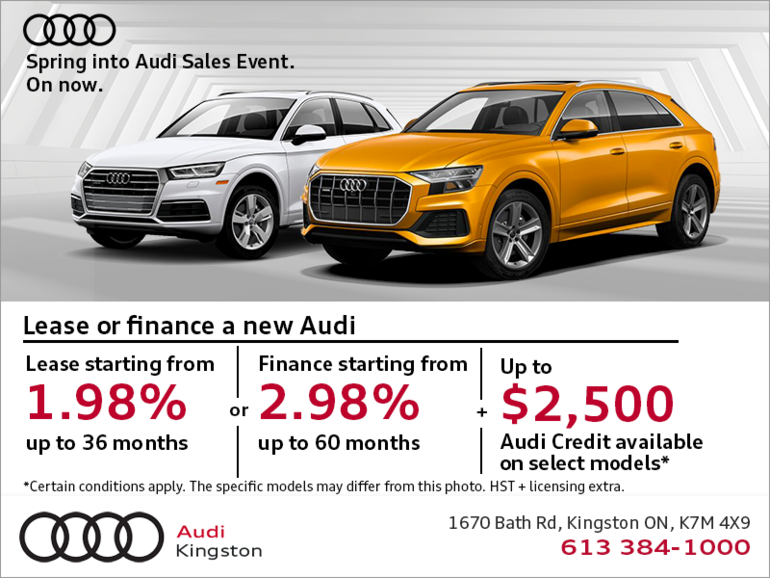 Lease from 1.98% or finance a new Audi starting from just 2.98%! PLUS receive up to $2,500 Audi Credit on select models.